Minecraft is a block-building sandbox game with no set rules, where you can build anything you can possible imagine. Allowing players to build, explore, create, collaborate, and even survive, Minecraft has created a new type of gaming environment. For veteran gamers, this camp will assist your survival and creativity as you learn new strategies from the creators themselves. This camp is for campers who have already been playing Minecraft. Campers learn how to make modifications and use Redstone to expand their creative abilities. All campers are required to have a Minecraft™ account for this class. 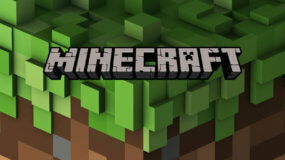 Purchase a standard account and desktop version (PC/Mac) of Minecraft™ ($26.95) at minecraft.net/store. Campers should bring their account login when they come to camp. How much is the camp? Full day week camps are $295.00 per week. Optional: Pre-camp hours start at 8am and is $25 for the week. Optional: Post-Camp hours go to 5:30pm and is $35 for the week (except TCA which ends at 5:00pm & is $30/week) . For our PreK & Kindergarten campers, in addition to the full day camp, we also offer a half-day program. The hours are from 9:00am-1:00pm and the cost is $245 per week. Post Camp services are not available for the half-day program. Your camper will need a snack, lunch, and drinks. I’m having trouble registering or accessing my account due to technical issues. If you need help with your registration or online account questions, you can reach out to ACTIVE Network’s consumer support team. For the 2019 Dallas summer camp season, here is how you can save! * Please note that multi-session and multi-person discounts only apply for registrations that are purchased on the same order (i.e. as part of the same cart). This means that if a user registers one child and then registers another child a week later as part of a different order, they will not get a multi-child discount. You may transfer to a different camp/week (must be in the same camp season that you are registered for and have available spots). If you choose to transfer, please note that there is a $10.00 fee per registration transferred. All transfer requests must be submitted by 11:59pm Thursday night before your child’s week of camp begins. Please note that $35.00 of each registration is considered the deposit and is not refundable or transferable at any time. On June 1st or later, no refunds are given. Every year Club SciKidz Dallas makes available a number of scholarships for our camps with our Shelby Jean scholarship program. These are 100% scholarships to families that need assistance providing the camp experience for their children. Please view the below file for all of the information needed to apply. One scholarship per family please! All applications are due by March 1 and the recipients will be notified via email by April 1. What are the age/grade requirements of your camps? Our current camp offerings are for rising grades PK-7th. Please note that children entering PK3 in the fall are not eligible to attend, as our PreK & Kindergarten camps are designed for 4 and 5 year olds (Must be 4 before the summer camp season). Club SciKidz carefully considers the grade range for each course as we receive feedback from our instructors, parents, and campers. Our policy is to allow you to take a course for the rising grade level your child will reach when they start the following school year. Example: If you see a course for grades 1-3 and your child is currently in second grade and will be a third grader by the fall, you can register your child for that course. Can you make an exception to your age requirements? Since we have taken into account many considerations in matching our age groups and camp themes, we generally like to adhere to those requirements. Please remember that an age group contains not only a certain intellectual and skill set, but also a certain level of social maturity. These requirements allow Club SciKidz to meet the needs of each camper. Please be aware of our refund policy. Transferring after the week of camp has started, to a different camp due to age appropriateness or skill level, must take place within that same week of camp and is contingent on available room in the newly desired camp. There is also a $10 transfer fee for all camp transfers. What are the hours of the camp? The camp hours are from 9:00am to 4:00pm. You may drop off your child no earlier than 9:00am and pickup no later than 4:00pm unless you have paid for the Pre or Post camp services. Do you provide Pre and Post camp services? We have extended day services at all of our locations. The cost is $25.00 per week for Pre Camp, which starts at 8:00 am Post Camp services are from 4:00pm – 5:30 pm (with the exception of our TCA location which ends at 5pm) and cost $35.00 dollars per week. Campers that are picked up later than 5:30 pm will incur additional charges at the rate of $1.00 per minute. Please do not try to drop your child off before 8am. In a pinch, you can pay the daily rate (divide by 5) that morning if you just need services for that day. All parents should make sure they record the Director’s cell phone # in case they need to communicate with the camp site. Our half day option is only available for the PreK & K grade campers. The half day camper’s day will go from 9-1pm. Pack a lunch and snacks. They will have recess after lunch but will miss our outdoor component in the afternoon and some science activities. But, they will receive three science sessions in the morning (Two science lessons and 1 morning demo). If they are already going to school, or going to school in the fall, we highly recommend the full day camp. Campers do have an outdoor recess period for 30 minutes each day. Other camps may do specific lessons outside at the counselors’ discretion. When can my child be dropped-off and picked up from camp? We accept all credit and debit cards using our online registration service. To register, go to our registration page by clicking on “Enroll”. Every camp registration must be completed and paid for using our online registration system. We are able to accept checks and cash at our camp locations to pay for t-shirts and extended day services only. The Welcome Packet mentions an ‘Administration of Medicine Form’. If your child requires any medications during the time he/she is at the camp, please download this form and print it, fill in the required information, fax it over to 214-530-5979 and bring it with the child on the first day of camp. If you would like us to apply sunscreen to your child while they are at one of our summer camps, please download this form and print it, fill in the required information, fax it over to 214-530-5979 and bring it with the child on the first day of camp.